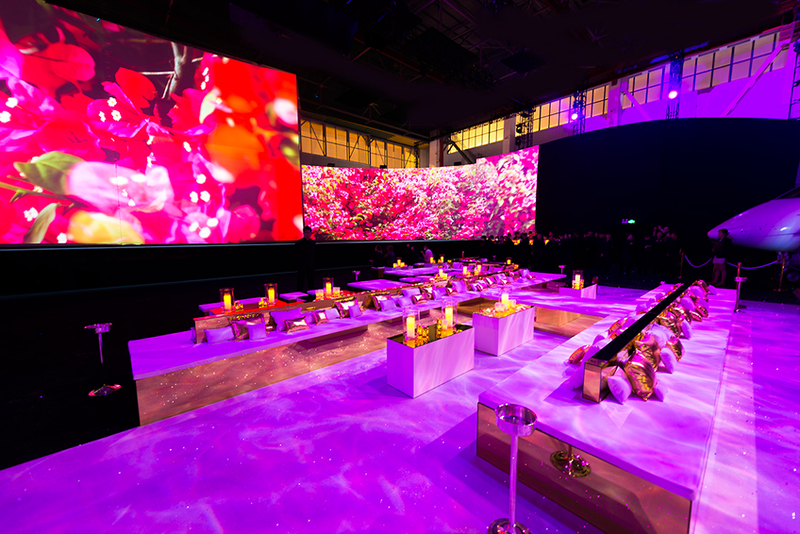 To celebrate the opening of the first Michael Kors China flagship at the Jing’An Kerry Centre, Bureau Betak designed a glamorous event experience in May around the jet set lifestyle that is the DNA of the Michael Kors’ brand. 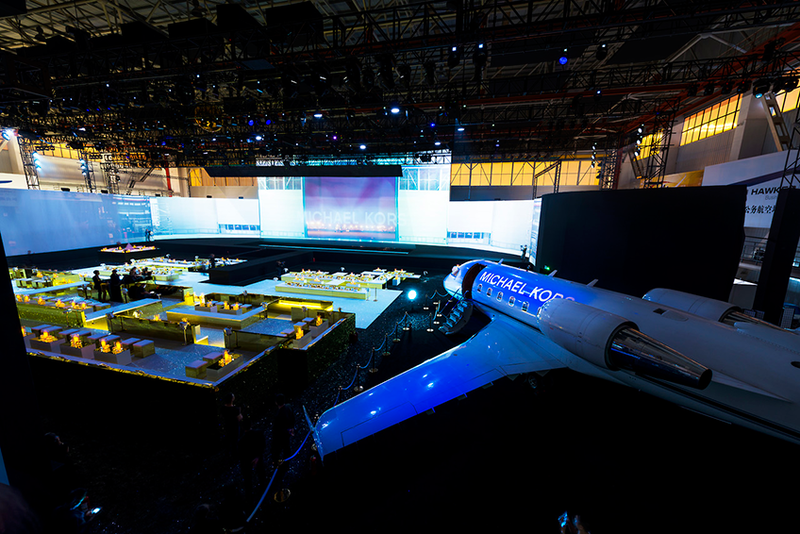 The Michael Kors Jet Set Experience held at a private 30,000-square-foot jet hangar at Hongqiao International Airport was the first-ever Michael Kors fashion show in Shanghai. 1,000 VIP guests were immersed in an expansive 360-degree event, surrounding the audience in music, moving images and emotion, a never-before-seen runway show featuring a signature Michael Kors Jet Set Collection and a glamorous party with music by New York-based DJ collective The Misshapes. Photographs and video courtesy of Bureau Betak.